Custom calligraphy and lettering design for fine weddings, events, editorial, and anything else you can dream up! I take on a select number of commissions a year in order to ensure each project with the care and craft it deserves. I’m Hollis. I have over 6 years of experience with pointed-pen calligraphy and have trained with some of the most talented master penmen. I take my study of the art of calligraphy and hand lettering seriously, spending hours practicing and perfecting my art. It is so fun to see how my styles have evolved each year as my hand strengthens, my tastes change, and my brides come up with new and exciting ideas. I’m excited to hear what you want to dream up together. Each project is unique and will be priced accordingly. For reference, most envelope projects start at $3 per piece. 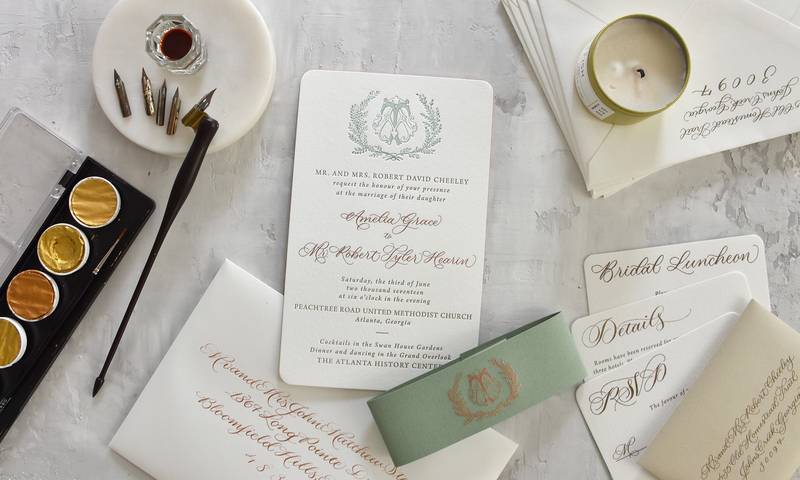 Hollis Wright is a pointed-pen calligrapher with over six years of experience with modern copperplate styles for high-end weddings and events. Available for commissions of all kinds.